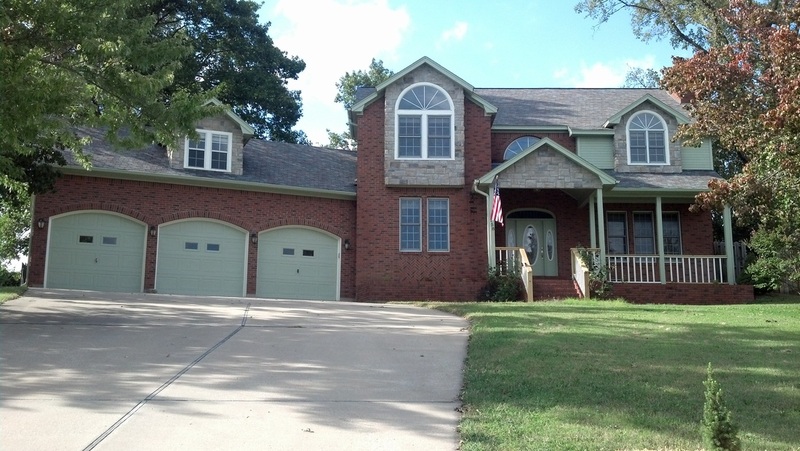 Here is a 5 bedroom, 5 bath dream home located in Branson, MO. 4,000+ square feet, three car oversized garage, home theater room with 100" HD screen w/ 7.1 surround sound, granite tops, slate & carpet floors, 3-level cedar deck, on 1.15 acres. See lake taneycomo from the front porch! Just minutes from all the major shopping, shows and schools. Many extras! $390,900 Email us at Admin@BuyHomesGroup.com for more information or to make an offer. More Properties Coming Soon...Check Back Often.